Want a privacy for your private Facebook-messages ?? . . you must have got irritated when your private messages are seen by the person next to you, when you left your seat for a coffee or when u gave your phone to that person to watch a video. Your messages belong to you and not everybody who uses your iPhone, iPod touch or iPad should be able to read them. With "App Locker for Facebook Messages" you can import all your chat histories from Facebook via email. Nobody will be able to access without knowing your secret password! 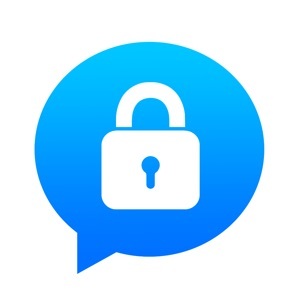 PRIVACY Your messages belong to you and not everybody who uses your iPhone, iPod touch or iPad should be able to read them. With "App Locker for Facebook Messages" nobody except you will be able to read your messages. -Optimized for iPhone 6 and iPhone 6 Plus -Password protect all your Facebook-messages Disclaimer: Unofficial Product. This application is the sole creation and responsibility of the developer. This application is not endorsed by or affiliated with Facebook Inc. Facebook Messenger, its name, trademark, and other aspects of the app are trademarked and owned by their respective owners.